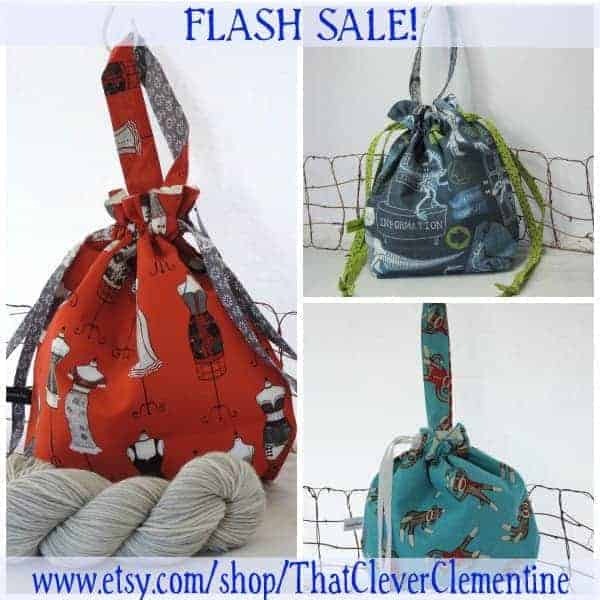 I am SO excited for Vicki of That Clever Clementine: this week, she reached her 500-sale milestone on Etsy! What’s even better is that she’s offering 15% off all orders of $20 or more through June 10 with the code IndieUntangledJune. 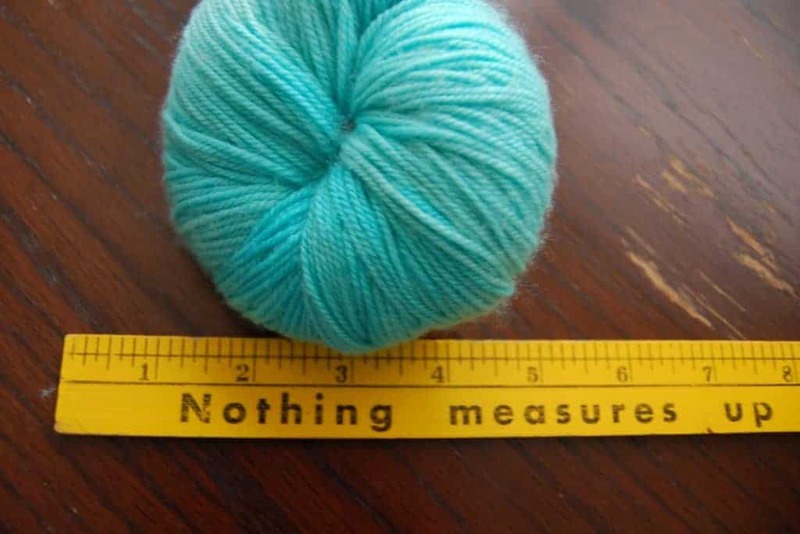 To celebrate, she’s also having a fun photo-related giveaway on Ravelry. I first discovered Queen Bee Fibers last year at the Kings County Fiber Festival in Brooklyn, but I didn’t realize what a cool story Lexi had until I happened to “run into” her again on Ravelry recently. I learned that she worked on a Long Island fiber farm after years in the NYC fashion industry and is also a beekeeper. 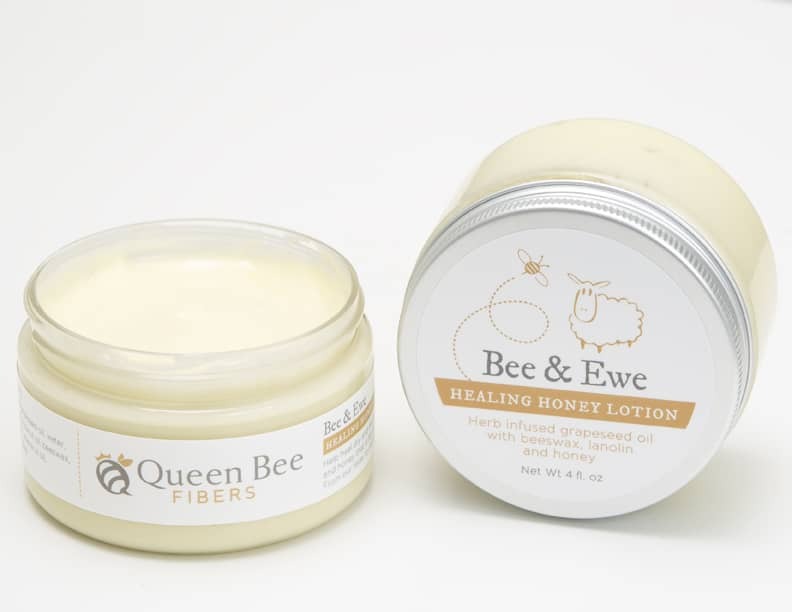 The Queen Bee shop sells drop spindle kits, along with hand-dyed yarn and fiber, handspun yarn and bath products, including Bee & Ewe lotion, made with beeswax, lanolin and honey. Christine of Skeinny Dipping just started offering hand-dyed fiber. She’s also having a spring preorder event. Through Monday, June 9, you can order the color and base combination of your choice on Etsy. 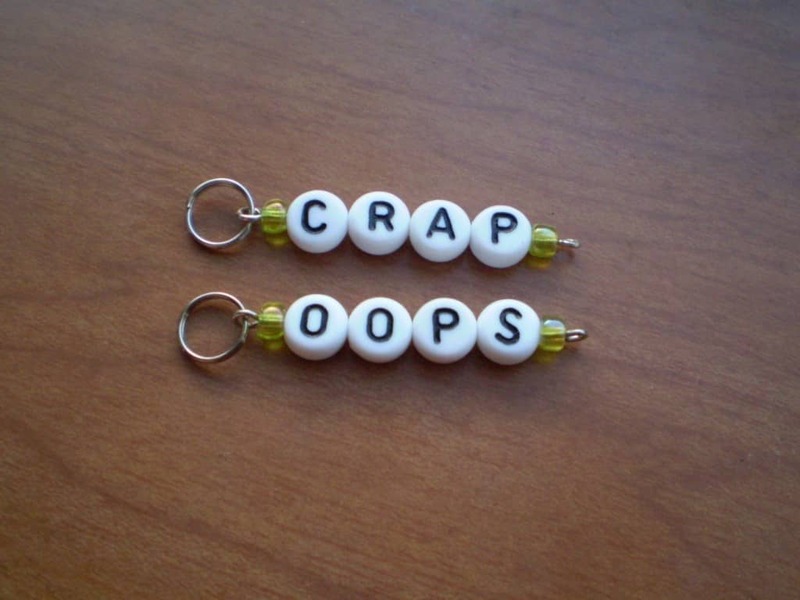 I’m loving the “grumpy” stitch markers from paper and yarn (though the words I use when I screw up a project are not quite so G-rated). Those are not the only things that will tempt you. Kat, who runs Ohio LYS The Thankful Ewe, also has a line of hand-dyed sock yarn in some beautiful colors. I blame Sue of Invictus Yarns for making me crave a Bomb Pop this week (and where is an ice cream truck when you need one?!). The new Glory colorway would be great to show off in a shawl or socks this Fourth of July (and supposedly socks and sandals are back in style). It might not make you think of ice cream, but if you wanted to knit a Creamsicle cardi and pink isn’t your color, Linda of Kettle Yarn Co. recently offered up a new blue-green color combo of her Wimbledon sport-weight yarn. 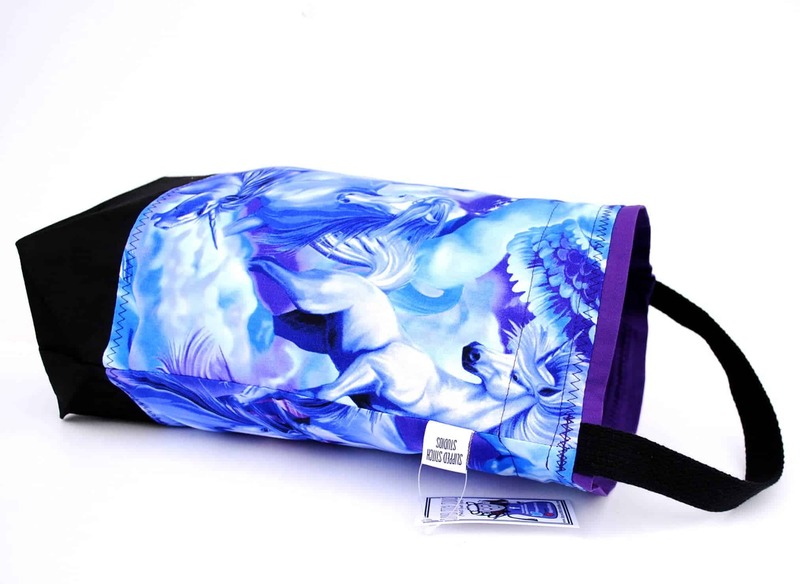 If you long for the days when your beloved Trapper Keeper got you through algebra, then go back to the future with a bag in this radical unicorn fabric from Slipped Stitch Studios. Aside from project bags, Laura also makes spindle totes, swift covers and more. Something for your Must Stash list: a set of five 5/8″ mustache buttons from Fastenation Studios are on sale for $6 (regularly $7.50) through the end of June. Hannah can make them in any color and size — contact her for a custom order or leave a note at checkout. Celebrate summer with bright new colorways and sparkly bases from Cuddlebums. Indie Untangled visitors also get 10% all yarns during June with the code INDIE10. Hampden Hills Alpacas may be new to Indie Untangled, but this two-person operation has been around for 14 years, raising and breeding alpacas and, of course, dyeing alpaca and alpaca-blend yarn. Next month, they will debut an alpaca silk lace base. Go ahead and get drunk on yarn fumes. This entry was posted in What to Stash and tagged bags, buttons, fiber, free stuff, giveaway, lotion, pre-orders, ravelry, sale, updates, yarn.